Department of Orthopaedic Surgery Ulin General Hospital – Faculty of Medicine Lambung Mangkurat University, Jl.A.Yani No.43 Banjarmasin 70233. South Kalimantan-INDONESIA. 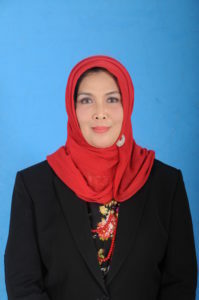 Zairin Noor is born in Banjarmasin, Indonesia. He finished his orthopedic in Padjajaran University. Then he advanced his program in spine orthopaedic consultant in University of Indonesia. He achieved his Ph.D and honorary degree professor in nano-biologic of osteoporosis. Zairin Noor has followed several fellowship including: Orthopedic Fellow, Department of Orthopedic, Chonnam University Hospital, Gwang-Ju, Korea (August – November 1994), Lee/Show Foundation Orthopedic Fellow Attached to Dept. of Orthopedic Surgery - National University Hospital - Singapore (February – July 1995), Orthopedic Spine fellow (supervised by Prof. Hansen Yuan, M.D), Syracuse University of New York, Health Science Center, Syracuse, NY-USA (August–October 1998). 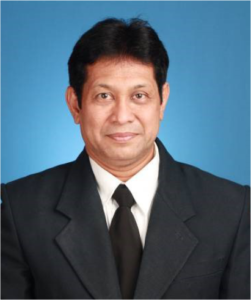 His current jobs are Orthopedic Specialist/ Spine Consultant in Ulin General Hospital, Suaka Insan Hospital and Siaga Surgical Hospital Banjarmasin; Full Professor and Dean of Medical Faculty. Lambung Mangkurat University; President of Indonesian Orthopedic Association; and Head of Research for Osteoporosis in Ulin General Hospital. His research concerned about spine deformity in adult, including but not limited in osteoporosis, scoliosis, and spondilytis tuberculosis. Nowadays he is elected as the head of research for osteoporosis. Bone nano-micro-and mesostructure; mineral element characteristic and substitution; crystal hydroxyapatite; RANKL-RANK-OPG signaling; became his specialist. He is author of numerous publications in peer reviewed journals as well as Editorial Board member and Reviewer of several orthopedic and bio molecular journals.